Congrats to Sadonna, who won Jack in the Green (2nd ed) by JL Merrow! Jack in the Green will be released by JMS Books on May 3. Blodeuedd’s giving away an ebook copy of The Wedding Cake Tree by Melanie Hudson. Closes May 7. Lots and lots of book linkity from Book Riot. And more. Thoughtful book linkity from ReaderWriterVille. “The romance reader’s guide to the Marvel cinematic universe“. “The problem with exceedingly long book series“. “15 books with completely different movie endings“. “Male characters you would run from if they tried to date you“. You can use blended white beans as a gluten-free way to thicken soup. “13 Pinterest accounts to follow for inspiring vegetarian food“. Craigslist “missed connections” broken down by state. Compare NYC to assorted other cities (and more) in size. Spring vegetable panzanella with poached eggs. Chickpeas, kale, and sausage with oven-baked egg. Roasted asparagus and ricotta pizza. Broiled steak and asparagus with feta cream sauce. NPR music video about the Hubble Telescope. 25 years of the Hubble Telescope. Short film about alchemy and life. R2-D2 pinball machine coffee table. You can now rent a goat from Amazon’s “Home Services”. Wetsuit that looks like a business suit. Yes, please, I would like this Human v1.1 Hotfix Patch. Sesame Street parodies Avengers: Age of Ultron. Baby sooty owl! Baby tigers! Baby cheetah! Kitten! Penguins! Zebra and baby! 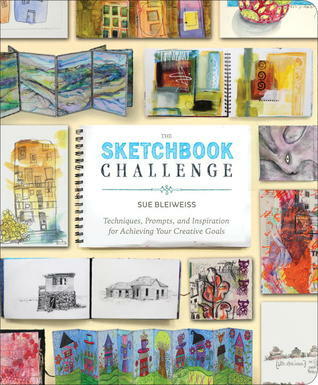 The Sketchbook Challenge: Techniques, Prompts, and Inspiration for Achieving Your Creative Goals by Sue Bleiweiss. It’s very pretty, but I didn’t find it particularly inspiring. 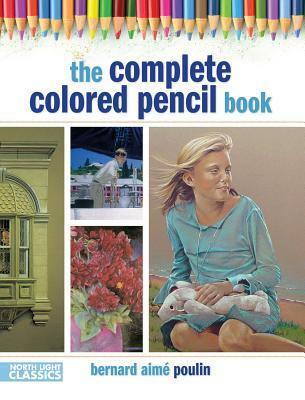 The Complete Colored Pencil Book by Bernard Poulin. Ok book about colored pencil techniques.I found the demonstration sections more interesting in the basic technique sections near the beginning, but I merely skimmed the last few chapters, which covered advanced tips and tricks with extra focus on portraiture (the author’s specialty and not a particular interest of mine). 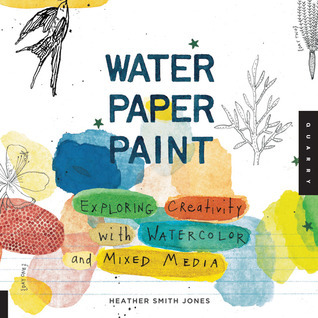 Water Paper Paint: Exploring Creativity with Watercolor and Mixed Media by Heather Smith Jones. This had some good information about color theory and I’m going to actually try several of the projects from this one! Posted by Chris on Friday, May 1st, 2015, at 2:00 am, and filed under Linkity linkity link, Reading. Had asparagus straight from the garden this week. Interesting idea with the steak. I bought a couple of sheet pans at a restaurant supply place last year to try out some sheet pan recipes from the NYTimes. Have I? No. Happy May to you and May. Yes, I’m with blodeuedd. A romance novel should have a happy ending. I tend to give up on long book series because I find they often become too same-y. I want a pie-chart coffee table. May, shouldn’t there be birds outside the window to watch? Have a great weekend, Chris! Chris- That kale and baked egg looks yummy. I’ve got to ask: how on earth do you draw with May and Chaos! 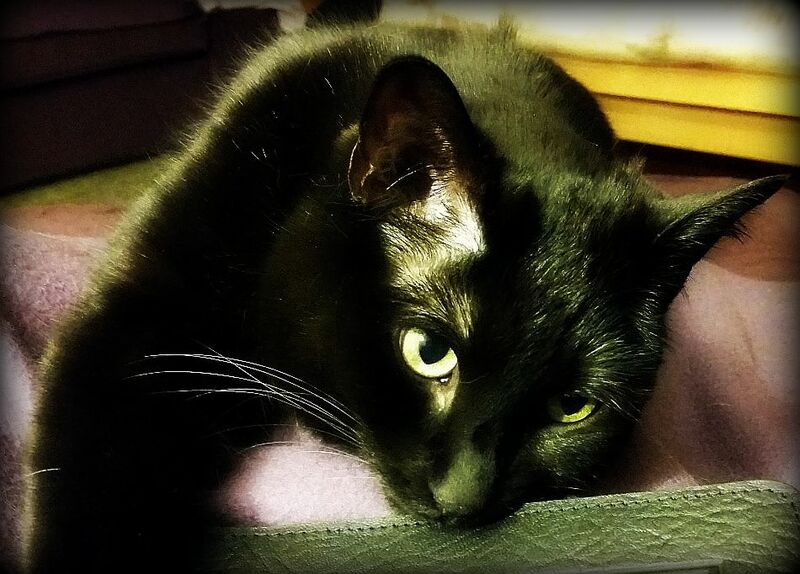 Sirius is quite the inquisitive one!